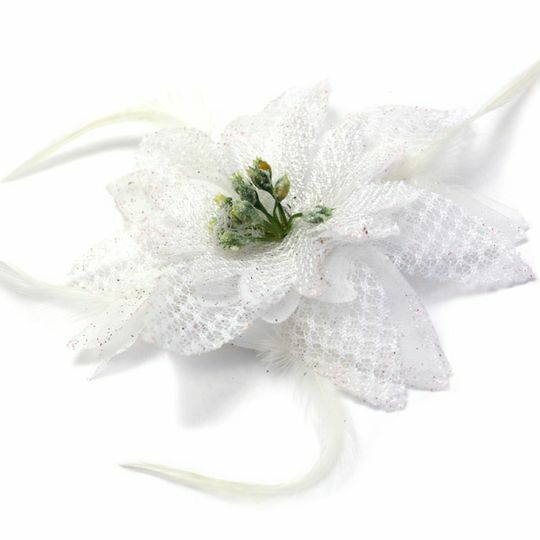 This stunning flower hair fascinator flaunts white organza and lace petals, decorated with glitter detail and finished with a touch of feathers. Overall size of design excluding feathers 14cm. Has both a crocodile clip and pin fastener. A great hair accessory for weddings & other special occasions.